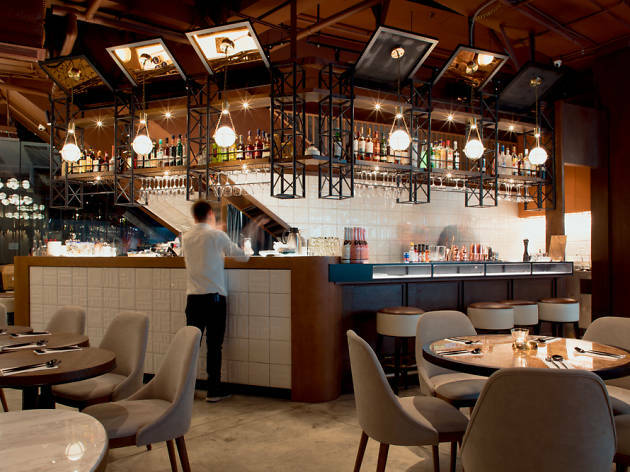 Part live house, part bar and part restaurant, the newest addition to increasingly cool Tai Kok Tsui is Lost Stars. So, jack of all trades, master of none? Not quite. In terms of looks, Lost Stars is spacious, modern and gorgeous – undoubtedly one of the best-looking live venues in town. When we walk in, all we can do is wonder whether the band playing later that night – local emo punk stalwarts Site Access – will look a bit silly belting out power chords in a setting reminiscent of a modern French bistro. We put those cares to one side, however, and scan the drinks menu. Adorably, all the signature cocktails are named after songs. We opt for the two best by way of a High and Dry and a Zombie ($92, though a decent happy hour runs daily from 3pm to 7.30pm when all cocktails are $72). The former is a take on a Dark and Stormy. Made with gold rum, ginger, lime, cinnamon, Darjeeling tea and of course, ginger beer, it’s a pleasant, understated alternative to the original with the musky sweetness of the tea adding a pleasant, lingering aftertaste. The Zombie is fairly reverential take on a gin martini with Bombay Sapphire, Dolin Dry, Dolin Bianco, Italicus and osmanthus sugar. It’s not dissimilar from the original but the fruity Italicus adds some playful levity, which is a nice touch. The food menu is surprisingly posh, especially considering we’d soon be head-banging to some rowdy emo across the room. Baring that in mind, we take a crack at two of the less fussy options by way of the pork belly burgers ($98) and the chocolate brownie ($98) – no serrano orange mousse or scallop tartare for us. The burger is succulent, not nauseatingly fatty as is so often the case with pork, and carries a smoky marinade that helps elevates proceedings. As for the chocolate brownie, Lost Stars’ version is moist and not overpoweringly sweet. A decent effort. 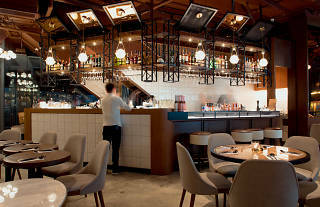 Yet while the food and drink are excellent, and the space a generally wonderful addition to Hong Kong’s live music scene, Lost Stars still feels a little schizophrenic, never more so than when seeing an angst-ridden emo band blast out tunes while certain patrons try to spoon their caviar. It’s a beautiful venue, with a great programme of discerningly chosen live acts by people who are clearly passionate about every aspect of what Lost Stars does. Some might consider the disparate elements slightly uncomfortable bedfellows but others, like us, should find it a refreshing, borderline innovative take on how Hong Kong live music can be digested.